Every year, thousands of birds around the world start a long journey that is fundamental to their survival: migration. Each species has its particularity: they fly in flocks or by their own, during the day or the night, they rest or they fly restless, large distances or short distances. Despite their different migration strategies, all of these birds have something in common: they face challenges to survive their “flyway” – a term used to describe the route regularly used by large numbers of migrating birds. One of the biggest threats to many migratory birds is habitat loss along the flyway due to fragmentation, pollution and human development. Wetlands, in particular, are especially fragile and important areas for a high diversity of migratory birds. 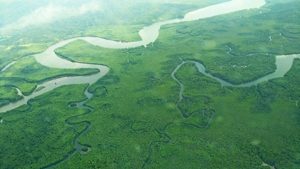 Unfortunately, wetlands are also among the most endangered ecosystems worldwide, largely due to loss of forest coverage. Wetlands, such as mangroves, are one of the most productive ecosystems in the world. They provide key ecosystem services such as water storage, nutrients production, protection against storms, stabilization of coastal areas, purification of water and retention of sediments. Humans also obtain other benefits directly from wetlands, such as fishing, aquaculture and tourism opportunities that provide an economic income for local communities. Indeed, there is a special connection between birds and mangroves! 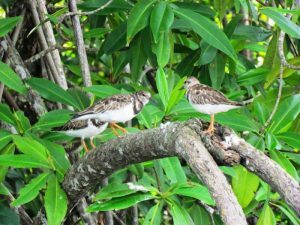 Because of their sensitivity to environmental changes and the impacts on their flyway habitats, migratory birds are important biological indicators that help us understand the ecological health of an area and can help inform conservation planning. 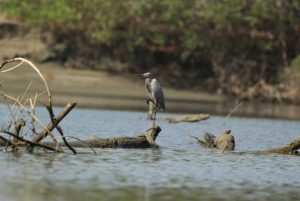 The Osa Peninsula has large extensions of mangroves, riparian forests and estuarine lagoons that act as a temporary home for aquatic birds that visit Costa Rica during their migration and stop sites. Ducks (Anatidae), herons and egrets (Ardeidae), plovers and sandpipers (Scolopacidae and Charadriidae), terns and gulls (Lariidae) and warblers (Parulidae) are between the most commonly seen migrants in the mangroves. Conservation efforts like those of Osa Conservation, which include the restoration of wetlands, help ensure the sustainable restoration of migratory bird habitat on which so many species rely. Through education and local awareness efforts, Osa Conservation encourages the involvement of local communities to help mitigate the negative impacts of human activities and to share the message of the importance of migratory birds and their habitat. Conserving wetlands for migratory birds is crucial for their survival and ours: Their Future is our Future.